... what are you doing on sunday?!? 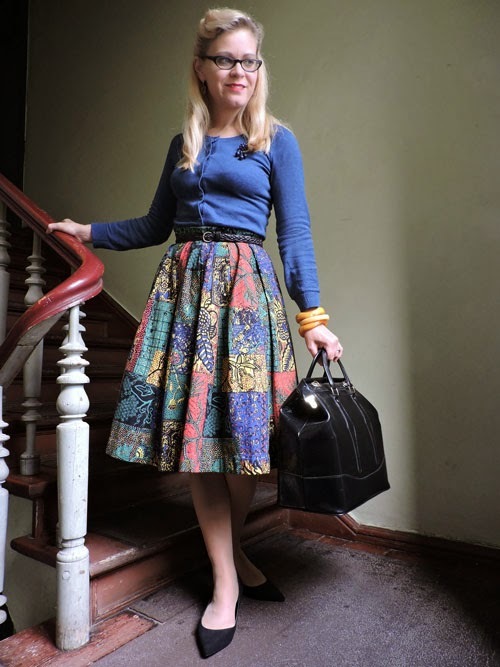 i hope you like this skirt ... because i'm afraid, you will see it a few more times this season ... the colours are actually more summery but it's made from strong, thick and warming cotton, which is actually far too warm for the summer. 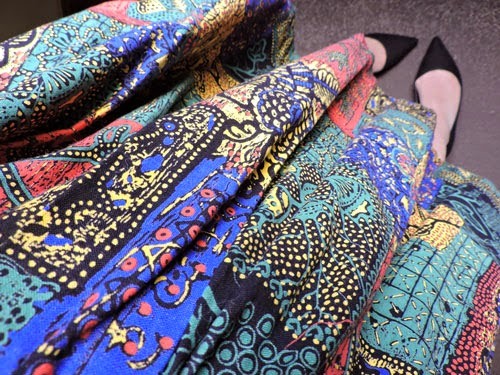 why not wear something super colourful in the winter ... once in a while i need some brightness and what is better then some bright coloured prints to light up dark days. 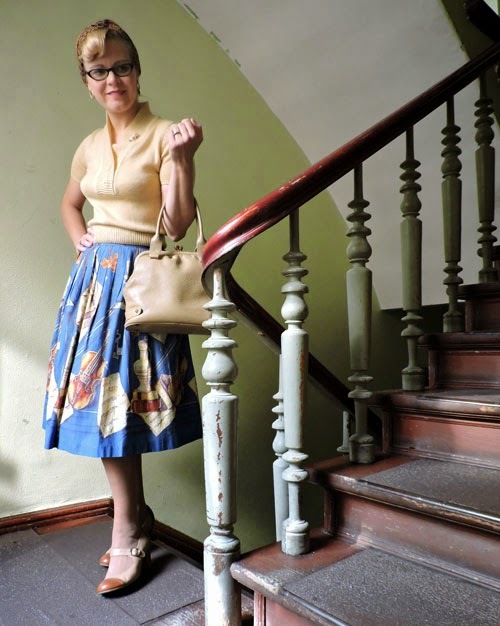 here is the second part of 'vintage shopping in berlin'. 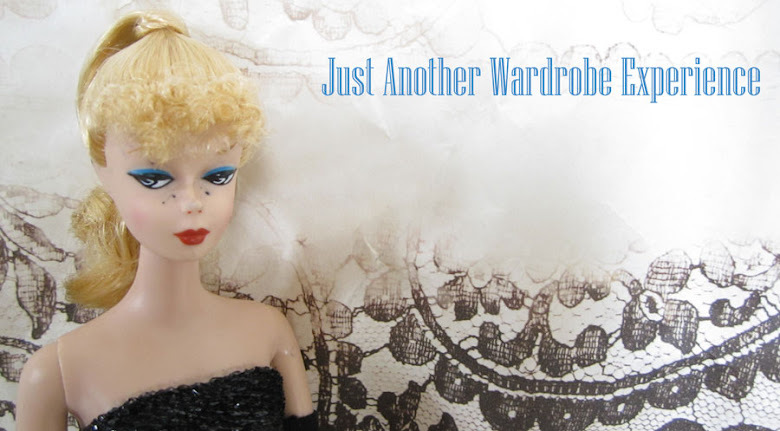 ... if you missed the first part click here! you can find shops of kleidermarkt in hamburg and berlin (4 shops). i normally go to made in berlin at schönhauser str. 19 and friedrichstr. 114a and colours/bergmannstrasse 102.
the two made in berlin stores are full with colourful vintage pieces from mostly popular eras like the 70, 80s and 90s, a lot of the pieces seem to be from the usa. if you take some time to go through the rails ... for sure you will find a few pieces from the 50s ore even 40s or 30s. But - you really have to check every single piece! some of them have issues like stains or rips which aren't always markted on the label. the speciality of colours store is the back area. there you can buy vintage by weight! 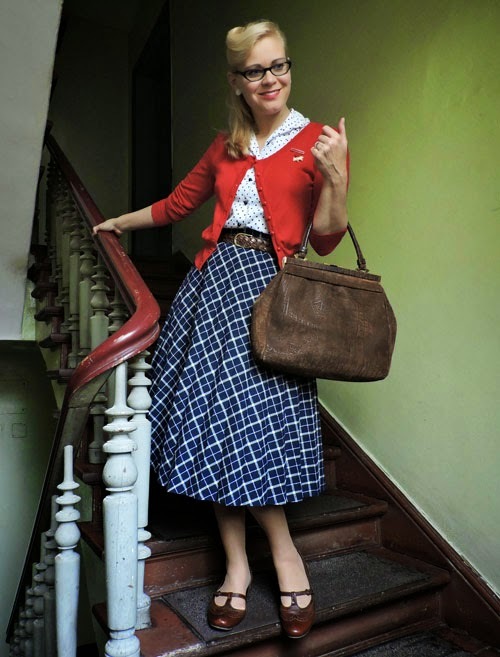 this shop is a little cheaper as the made in berlin ones ... but you have to check the items even closer for flaws ... but sometimes it's worth to sew back on a button or hide a tiny stain under a belt, if you can get a true 50s skirt for under 10€. some of the shops have an happy hour (20-30%) on tuesday's or wendesday's, it's worth it! 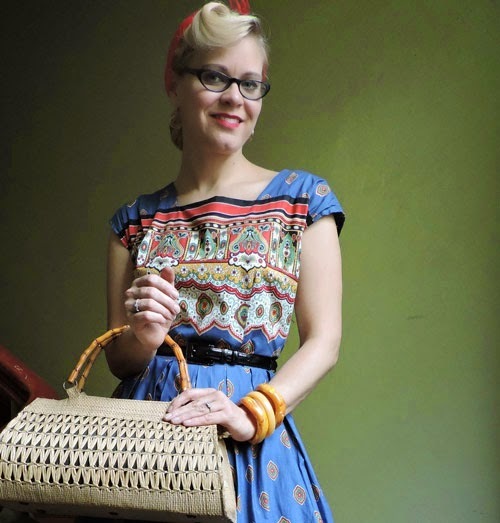 rocking chair is a true mid century vintage shop. 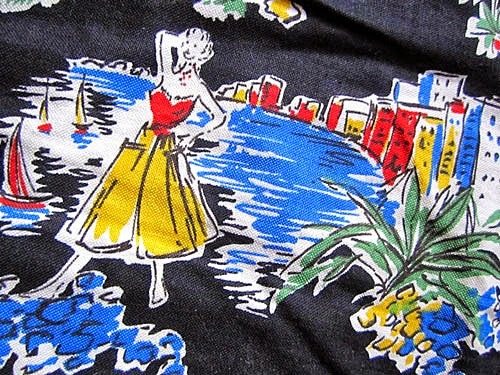 you find clothes, accesoires, jewelery and decoration pieces there from the 30s, 40s, 50s up to the early 60s ... the shop is well known for it's big collection of men's hawaii shirts. 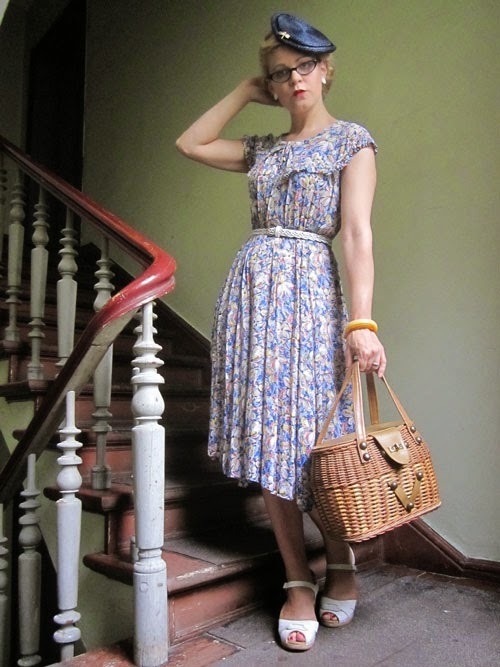 they also have a lot of lovely 40s and 50s dresses and ... i remember a cupboard full with colourful jewelery sets and soft plastic pieces. this place is a little pricey - but all the items seem to be in a very good condition. sadly i never found the perfect piece there to take home for myself ... and i haven't been there for a little while, because i didn't had the time to visit the part of berlin where the shop is located. 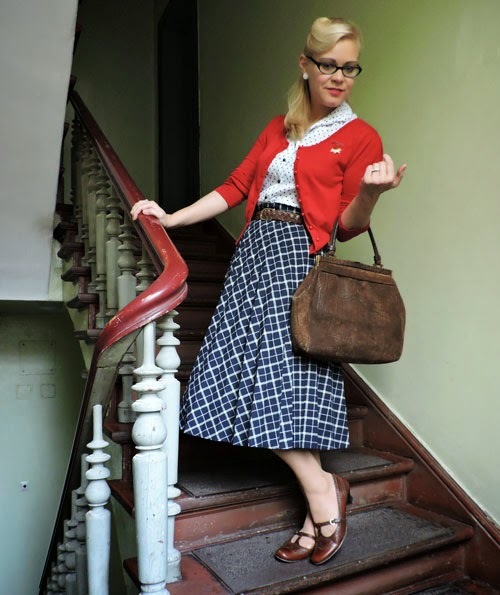 for real vintage lovers, it's a must to check out rocking chair in berlin-friedrichshain! 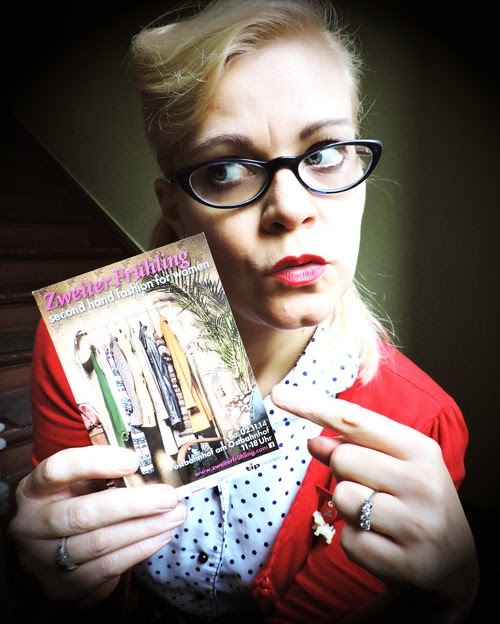 hey, gals, if you are in berlin next weekend, visit us -the two ladies from in the ruins of berlin and wardrobe experience- at our booth at zweiter frühling second hand markt. i found this black and white floral brooch a couple of weeks ago on a flea market in the middle/(south of germany. it was my first soft plastic piece i ever found on a flea market. it was pretty cheap for 2€, so i wasn't sad, when i found out that two of the flowers are missing. actually i'm not the biggest lover ofr soft plastic jewels, because most pieces i find are ear clips: huge, bold and super expensive. ... i really struggle with wearing big ear clips. they might look great on others - i look like an alien with them. so i was super happy to have found a soft plastic brooch. it doesn't make me look like a being from outer space. it just makes me happy. 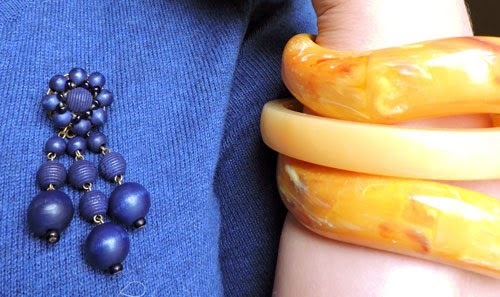 do you like soft plastic jewelery? Nächste Veranstaltung: Sonntag, den 02. November 2014, von 11 bis 18 Uhr! 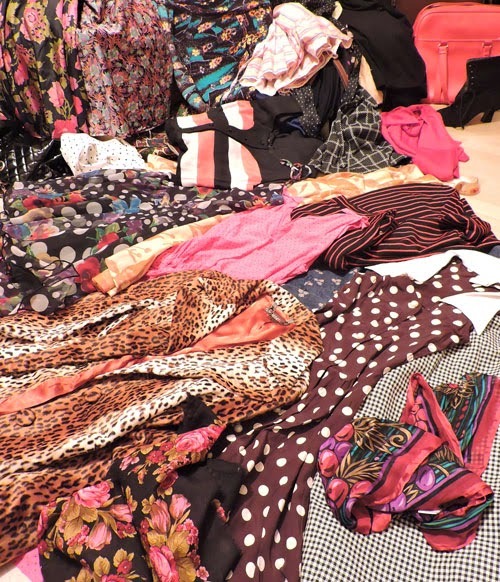 here are a few pieces, i will be selling ... just pop by! can't wait to see you there! 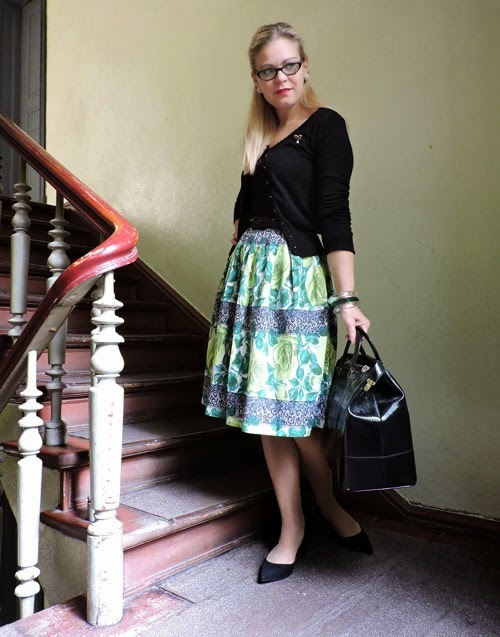 this skirt caught my eye a long time ago hanging in the shop, but it needed some fixing and for that 30€ was far, far too much ... i also felt a little unsure about the almost neon green coloured roses ... but a couple of weeks ago i finally found it hanging in the sale section. i got it for 12€ and my talented tailor fixed it for another 2€ ... crazy! 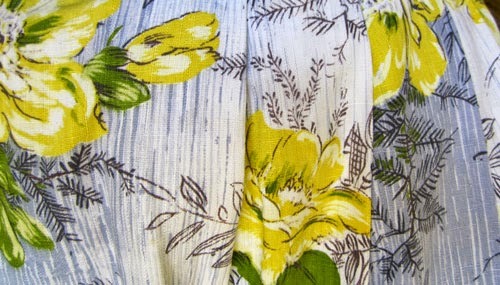 i can't wait to wear it with light colours next summer ... a long wait, i know. but i always wait for summer. 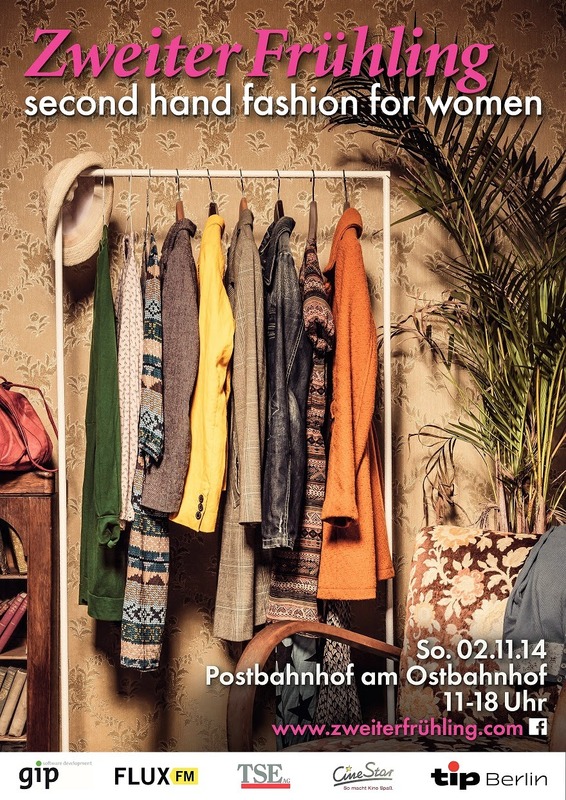 Veist Kleidergeschichten is one of my favourite vintage shops here in berlin, neukoelln. veist is not just about midcentury fashion, you might find there mostly, what i call 'in fashion' vintage (boheme, 80s, 90s, designer pieces, ...) and just a little mid century pieces once in a while ... every single piece is hand picked by the wonderful and awsome ladies working there. 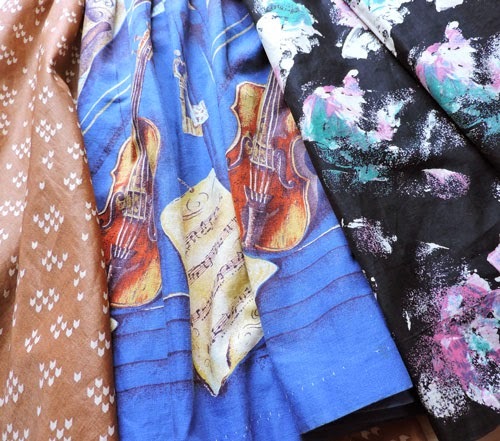 they really have a special eye for style and design, wonderful fabrics like silk and cashmere ... some of the clothes are telling their little story from the past on the prize tag. 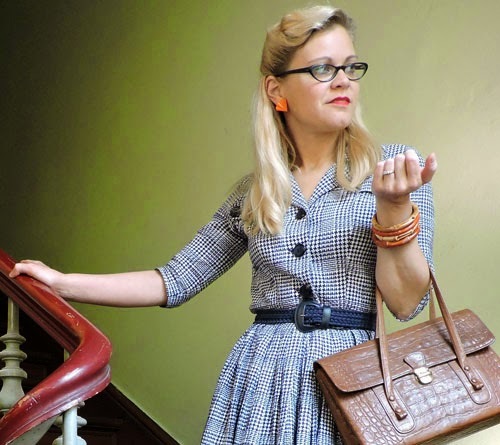 don't we all want to know where our vintage clothes come from? all in all it's always a big fun to pop by this shop, the ladies of veist are smart, fun and ever so lovely - even if they are busy as hell! the little fake fur jacket from the 50s is the first piece i ever purchased at veist, the red felt hat is the latest - but won't be the last for sure. 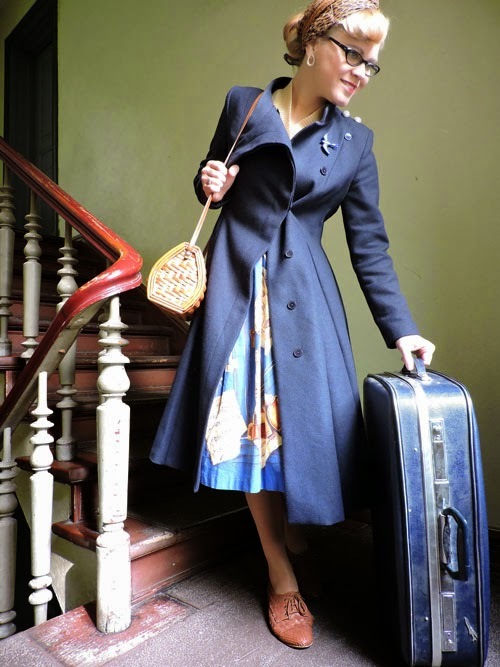 those pants belong to one of my best vintage buys ever: my highly beloved vintage sailor suit made from silk and crepe. from whatever era but found at veist! 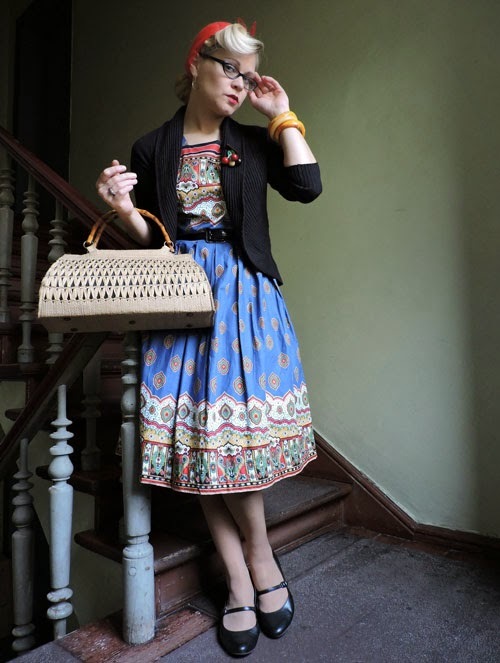 found this 50s-60s number this summer at schwarze truhe. big love - even if i look a little skepitcal in this picture! what i wore to a tiny flea market in the neighbourhood on sunday ... top: ... princess coat: turkish fashion shop here in berlin // knit top: sugar shock // 50s skirt: made in berlin shop // shoes: from my mum // wicker purse: mauer park flohmarkt, berlin // silk vintage head scarf: flea market ... (the suitcase from the 50s-60s i found today. it needs to be cleaned badly). 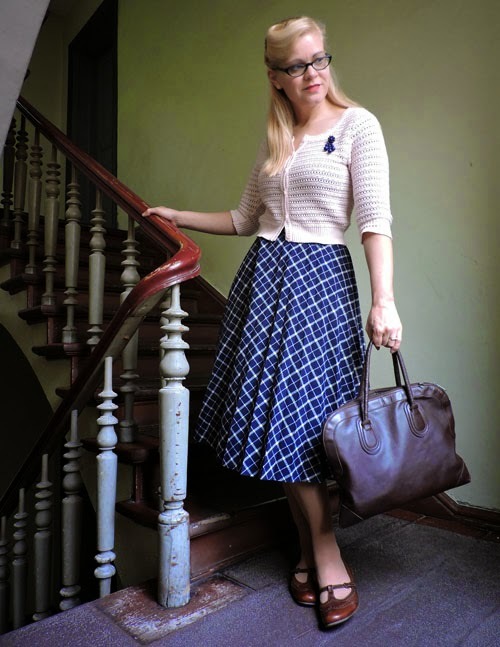 ... what i changed into after to meet some friends ... bottom: ... shoes: deichmann // 50s leather purse: from last weeks flea market in frankfurt. 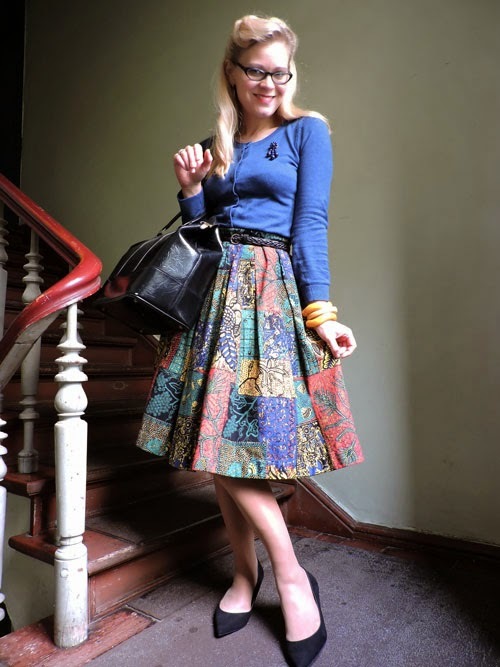 this post is linked to share-in-style: favourite prints. 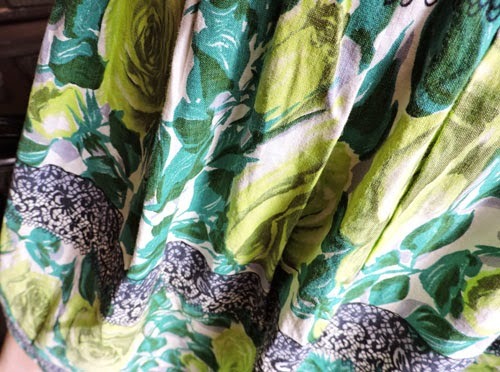 my favourite print?! 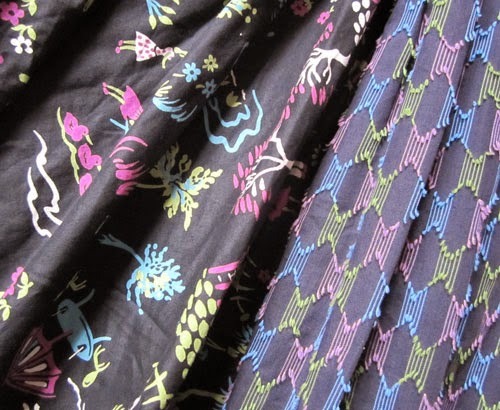 actually i have to say i love all kind of prints ... but for sure mid century novelty prints are my favourites for a while. 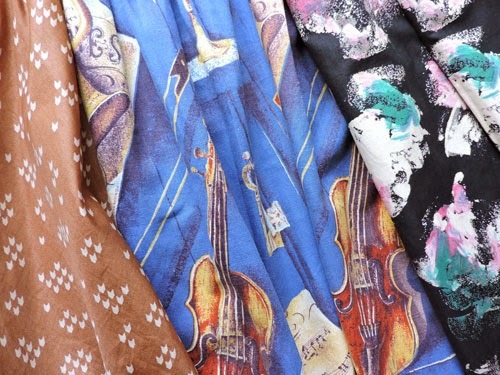 they might come in very various ways ... my beloved violin skirt stands for all the lovely, crazy and fun prints out there.